Originally the Lean To Conservatory was known as a Mediterranean conservatory or Sun room. They are ideal where space is limited or if there are any height restrictions. The simplicity of the lean to design means many home owners are now choosing this style of conservatory when it comes to extending their properties. The simple, clean straight lines of the roof design; creates a sophisticated and modern look which will enhance any style home. The lean-to design means that one wall is already constructed, so the installation and maintenance costs are kept very low. With the option to choose from a variety of bases, each lean to conservatory offers a unique look when installed. You can opt for a fully glazed paneled walls which provides the maximum amount of light and the most unconstructive views, or if you prefer a bit more privacy and a solid base then the small dwarf walls and uPVC panels will provide both these requirements and will also cost less than the fully paneled glazed option. Choosing the right size of your conservatory is a something you should take your time over, get this wrong and you might make a very costly mistake and potentially end up with a space that is too small which defeats the object of extending your property in the first place. Read our guide about conservatory size for more help. Modern day conservatories tend to be installed with polycarbonate roofing rather than glass panes for a variety of reasons; the polycarbonate material is light weight, durable and incredibly strong. It also lessens the glare and heat from the sun to ensure that the conservatory can comfortably be used all year round. Polycarbonate is available in a wide range of colours including; Clear, Bronze, Opal, Bronze/Opal and Heat guard. When designing the layout of the conservatory you need first to decide where to position it in your garden. Stake out the area you are considering using and consider the impact it will have on your garden. Does it affect access to certain parts of the garden? Does it look in proportion with the house and garden? Look at where the doors are going to be placed from the house into the conservatory as well as out of the conservatory into the garden. If you are going for a bespoke design then you may consider using either sliding or bi fold doors rather than French doors. But which ever option you choose the most important aspect is getting the position of the doors right. In the area you have marked out for your conservatory arrange your furniture to see how the room flows and how easy it is to move around and leave the room once it has been filled with furniture. Remember that a conservatory that is south facing will require blinds/shutters and some ventilation due to the fact it will be in the sun for most of the day during the hot summer months. 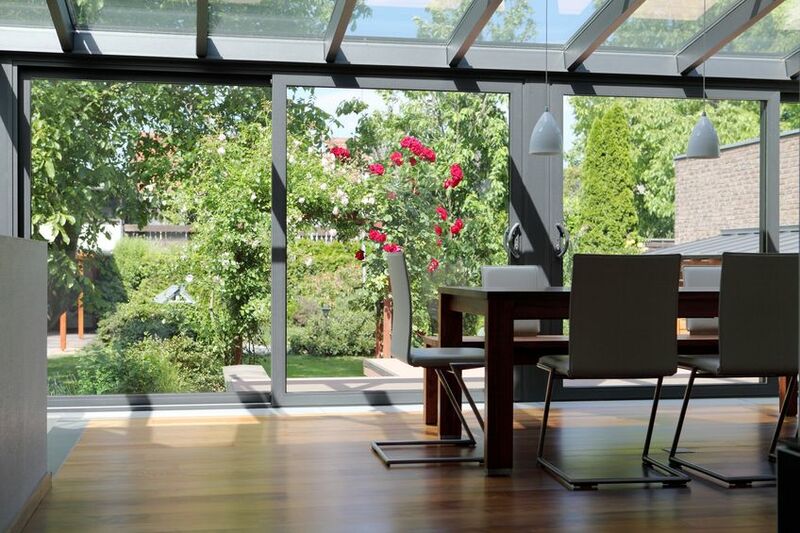 At the same time plan how you intend to heat the conservatory during the cooler months. Under floor heating is a very popular choice, as it doesn’t take up any internal wall space and can be added at build stage. The Lean to conservatory offers a flexible living space which families can enjoy all year round. Start building your dream conservatory today.